My version of a birthday suit! 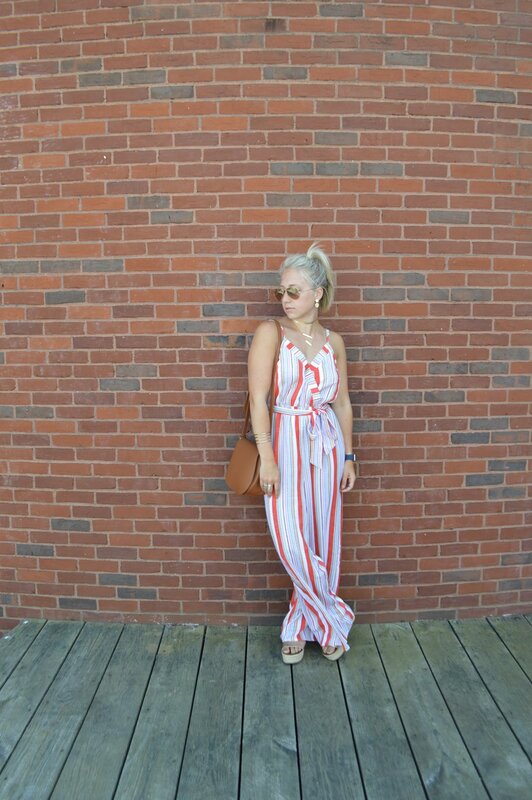 This past weekend I celebrated 19 years, and what better way to do that than in a fun jumpsuit! 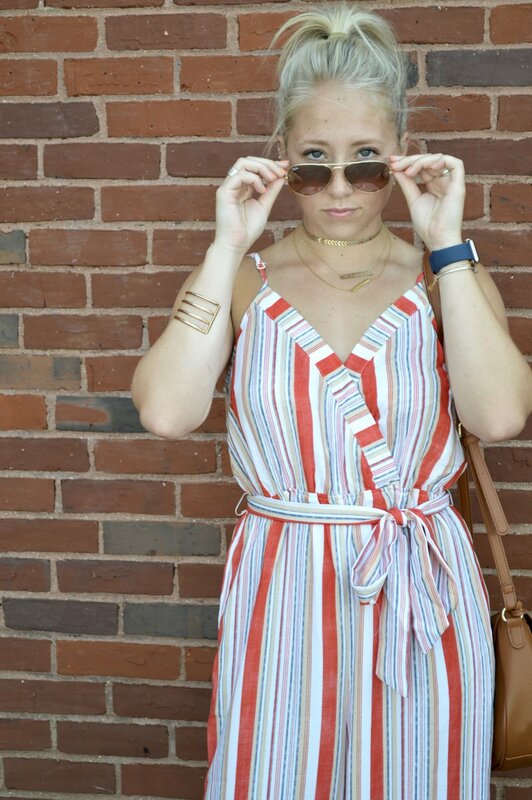 This striped beauty was a gem I found at my favorite local shop Grace. Yes, I spend all my free time at Grace, but how can you not when you come home with great finds like this! 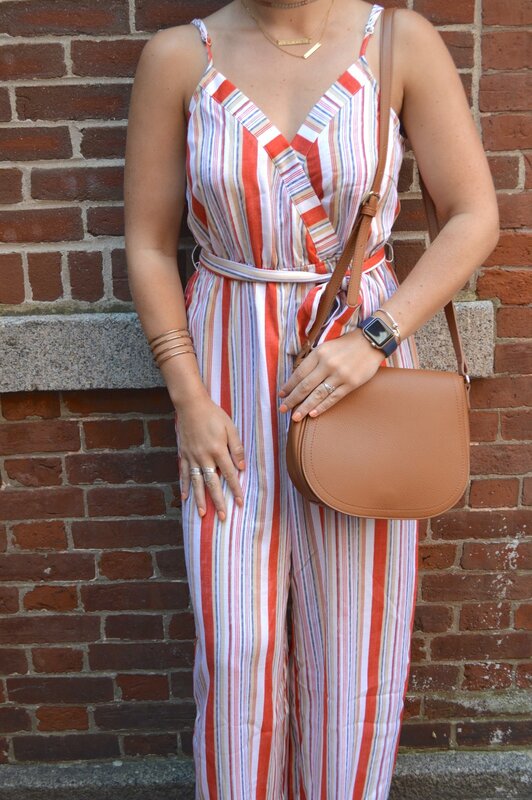 I love a good jumpsuit it makes picking out your outfit a no brainer and leaves more room for accessories! The newest member of my accessory family is my apple watch which I am loving more and more everyday. I hope to be writing a review on it sometime soon so stay tuned! This jumpsuit is loud on it's own, so I stuck to simple gold accessories to keep from taking away from the fun print of the suit. Can't wait to wear this jumpsuit again, its a fun one for sure and one people wont forget. Which seems like a total downer because most people assume that you can't wear an outfit more than once in fear someone might remember you wore it. False! Think the exact opposite! 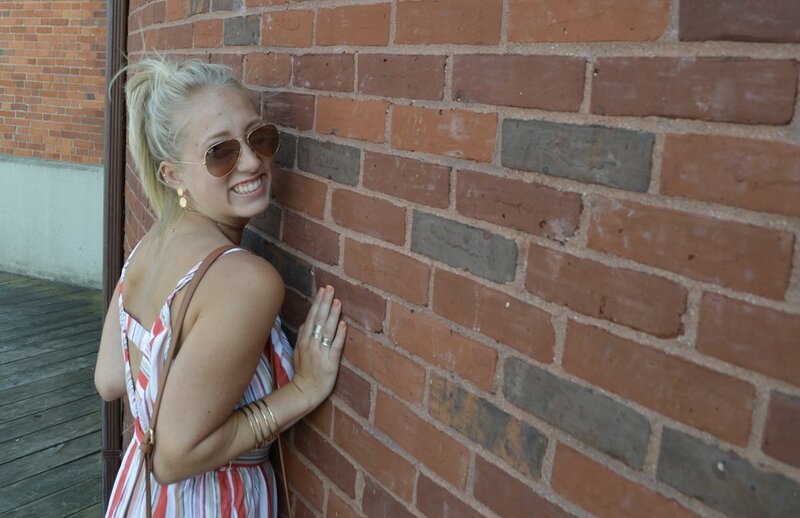 Don't be afraid to be an outfit repeater, especially with statement pieces like this! They are meant to be worn multiple times because they are awesome and stylish! If the outfit was a show stopper the first time around its bound to be just as amazing the second and third time around! Maybe switch up your accessories, try a new purse or swap out your shoes for a different twist on the outfit but get your moneys worth and be an outfit repeater.